Casey Christie / The Californian Chris Thornburgh is a principal at Brown Armstrong Accountancy Corporation. 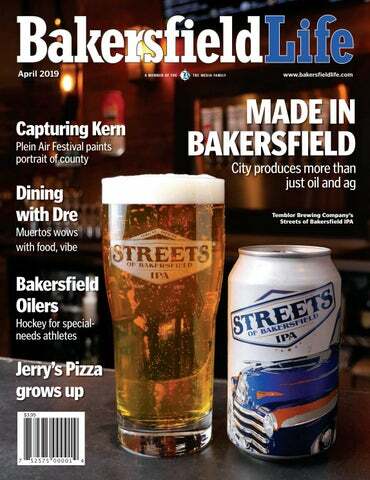 Bakersfield’s list of successful “homegrown” businesses rivals most cities. Have you ever wondered how the founding entrepreneurs of these flourishing businesses got started? Some would-be entrepreneurs spend years searching for the “perfect idea” to start a business and never pull the trigger. If you are thinking about launching a business, there’s a lot to consider. Here’s an overview of what you need to make it happen. If you have a business idea, balance it with reality. Be able to solve a problem, fulfill a need or offer something the market wants. Ask yourself who else is doing it and how can you do it better. Be prepared to explain a short “elevator pitch” to an investor. There are no limits on who can become an entrepreneur. You don’t necessarily need a college degree or a ton of money, but you definitely need a plan. A business plan is your roadmap for how you will run your business. The Small Business Administration is a helpful resource at www.sba.gov as well as our local Small Business Development Center at CSU Bakersfield. Now that you’ve mapped out your plan, you have a clearer picture of how much it will cost to get started. Do you have available funds or will you need to borrow money? If you’re planning to leave your current job to focus on your business, do you have money socked away to support yourself until you turn a profit? This is an important decision. Whether it’s a physical location or an online presence, your choice could affect your revenue, taxes and legal requirements. There are a number of ways you can set up your business. You can be a sole proprietorship, a partnership, a limited liability company or a corporation. Each type has various tax and legal implications. You may choose an initial business structure and then re-evaluate and modify your structure as your business grows and needs change. It’s smart to consult with a business attorney or CPA to ensure you are making the right choice. Your business name plays a huge role in every aspect of your business, so make it a good one. If you use a fictitious business name, apply with the county clerk’s office at www.kerncountyclerk.com. If you’re working with an attorney, they’ll help you through necessary registrations, licenses and permits. If navigating on your own, there’s a wealth of resources to tap such as the California Business Portal at www.businessportal.ca.gov. Licenses, permits and certifications vary depending on your business type, so check out www.calgold.ca.gov. A business is only as good as the people behind it. Fill the gaps of your limited experience with strong team members. Consider your hiring or outsourcing needs. Hiring is fraught with regulations. This may be an area where you lean on experts or seek training. Separate business from personal and open a business bank account. You’ll want to track income and expenses at a minimum. QuickBooks is widely popular with small businesses for its ease of use and valuable reporting features. You’ll need insurance for the risks you’ll face. A reputable insurance agent will help determine appropriate coverage for your business. Depending on your needs, common insurance policies include general liability, professional liability, commercial property, workers’ compensation, employment practices liability, product liability, home-based business and commercial auto insurance. Turn your idea into a revenue stream. With a little homework, you may be the next booming Bakersfield business. Chris Thornburgh is a CPA and partner at Brown Armstrong Accountancy Corp. Contact her at cthornburgh@bacpas.com or 661-324-4971. The views expressed are her own.